Save too many personal photos on your Android phone and now want to delete them on Android because you want to safely sell your old Android phone or give it away so as to buy a new one? Well, you may think it is just a matter of deleting these personal photos on Android itself. Actually, if you want to permanently wipe out the personal photos from Android, that's far from being enough. Since such deleted files can be easily recovered as long as you get a powerful data recovery tool. So if you need to erase photos from Android once and for all, a professional tool like this Android Data Eraser is a must. With it, you are able to permanently delete photos on Android within simple clicks. 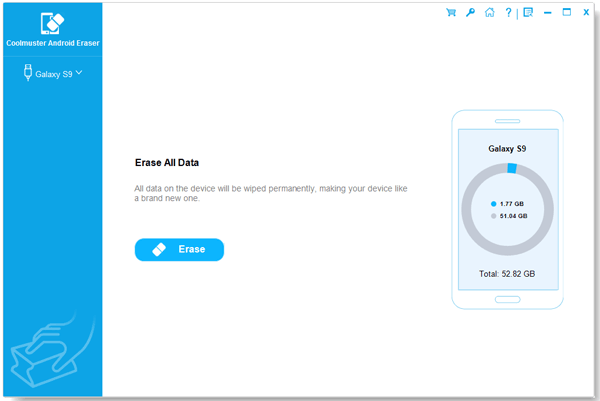 Aside from photos, you can also easily erase other files from Android, including contacts, messages, videos, movies, apps and many more. More importantly, this software is fully compatible with all brands of Android phones, such as Samsung, HTC, LG and many more. 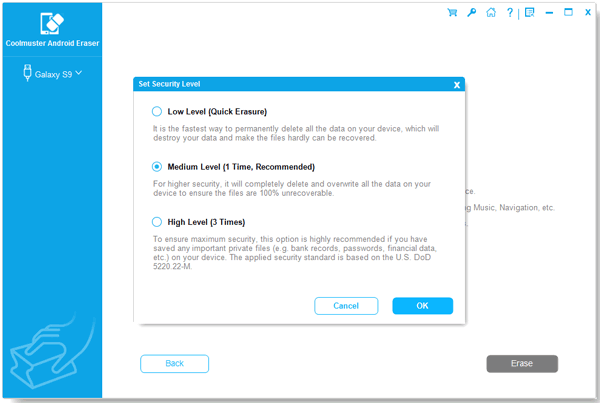 With it, no deleted files will be recovered no matter what powerful recovery tool you have. Below are the free trial versions! Just download the right one and give it a try by yourself! After opening the installed software on the computer, get your Android phone connected to the computer via the USB cord. Then this software will detect your Android device and show you the main interface as pictured in the below. As you can see now, all the file folders are arranged on the left panel. You can then enter the right Photos tab to preview more. While previewing, just choose the photos that you want to remove from Android by ticking them out. Finally, hit the Erase option to permanently delete photos on Android as desired. After removing photos from Android with this powerful Android Data Eraser, they are gone permanently! That's especially useful when you want to delete some personal files to protect your privacy!